Grosset & Dunlap, 9780448443287, 160pp. Hank?s dad has decided to enter a crossword-puzzle tournament, and he wants to make a family road trip of it! So the family piles into the car?along with Frankie and Katherine the iguana (Hank and Emily each get to bring a ?friend?). When they reach their destination, they?ll get to spend the day at a roller-coaster park during Hank?s dad?s tournament! The only caveat is that Hank has a homework packet to finish before they get there . . . which he somehow manages to lose at a stop along the way. Suddenly, Hank doesn?t feel so good . 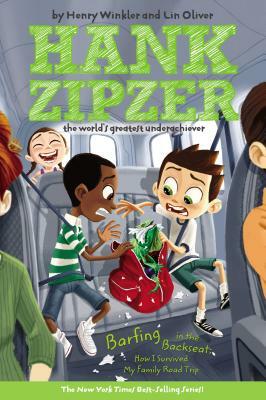 . . Can Hank and Frankie rescue the lost packet and get Hank on a roller coaster?